Mikhail Bulgakov (1891-1940) was a Soviet playwright and novelist who made a considerable contribution to the genre after the Great War. The collection Dyavoliada (1925; translated by Carl R. Proffer as Diaboliad and Other Stories in 1972) includes the short novel “Rokovye iaitsa” (1925) (translated as “The Fatal Eggs”), a tale about the relationship between science and power, which, as John Clute notes, takes off from H.G. Wells’s The Food of the Gods (1904). Clute adds: “nothing remotely similar to Bulgakov’s sf would be published there for another sixty-five years”. Sobachye Serdste (written 1925 but not published for decades; translated by Michael Glenny from the manuscript as Heart of a Dog in 1968) has a scientist create a man-like dog, who nevertheless fails to learn human “civilisation”. Master i Margarita (completed by Bulgakov’s wife after his death and translated by Michael Glenny as The Master and Margarita in 1967), his most famous novel, describes how the Devil appears in modern Moscow. Bulgakov was born in Kiev, one of seven children of an assistant professor at the Kiev Theological Academy and a former teacher. He was taught at the First Kiev Gymnasium, and when he graduated, in 1909, he started training as a doctor in Kiev University. He took up a position at the Kiev Military Hospital. He married in 1913, and in 1914 he went to the Front as a doctor. He finished his medical studies in 1916, and was appointed as provincial physician in Smolensk province (which he described in A Country Doctor’s Notebook). He eventually returned to Kiev, and set himself up in private practice. He stayed there through the turmoil of the Revolution and the Civil War. In February 1919 he was drafted into the Ukrainian People’s Army as a doctor, and assigned to the Caucasus. He became seriously ill with typhus, and for this reason was refused permission to leave Russia when most of his family left for Paris. At this point he abandoned medicine for writing. He had two plays performed in 1920. He moved to Moscow, and became secretary to the Central Committee of the Republic for Politcal Education. He wrote stories and plays and started writing for newspapers. When one of Moscow’s theatre directors severely criticised Bulgakov, Stalin personally protected him, saying that a writer of Bulgakov’s quality was above “party words” like “left” and “right” (quoted in Wikipedia). Stalin reportedly saw Bulgakov’s play Days of the Turbins (1926) fifteen times. 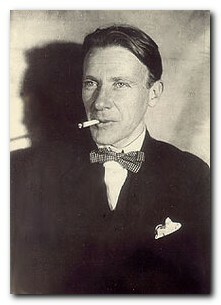 When in 1929 Bulgakov’s work was banned for political reasons, he appealed to Stalin personally, and was allowed to carry on working (although he was still able to publish only rarely). In 1932, he married for the third time, to Yelena Shilovskaya, who would prove to be inspiration for the character Margarita in his most famous novel. He joined the Bolshoi Theatre briefly as a librettist and consultant, but left when it was obvious that none of his works were going to be produced. He was refused permission to leave the country. He died in 1940 from an inherited kidney disease, and was buried in Moscow. This information all comes so far from the Wikipedia article, which provides much more information.